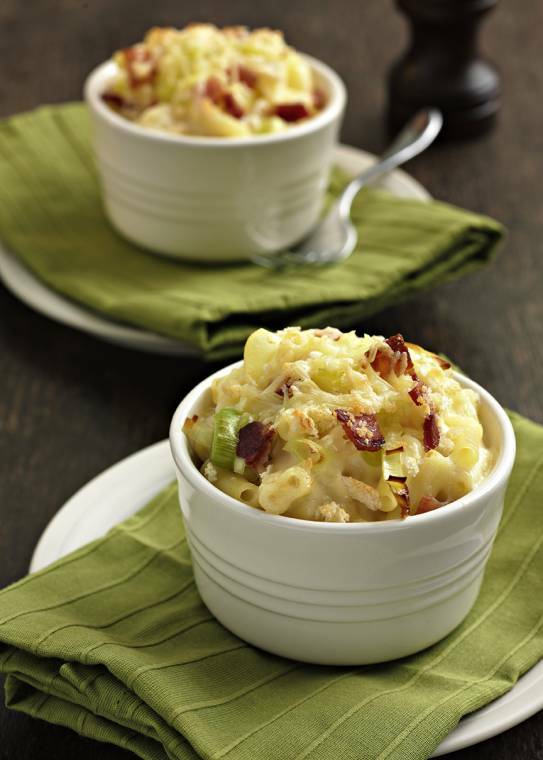 Macroni Cheese With Crispy Leeks And Bacon. A firm family favourite dish, made gourmet! Meanwhile, in a large frying pan fry the bacon until cooked through and crispy. To this, add the finely chopped leek. Once they are both cooked, take the pan from the heat and keep to one side​. Little by little add the milk, with the pan still on the heat, whisking after each addition and until the milk is all incorporated. Add the yogurt or crème fraiche and cheese and continue to stir until the cheese is melted​. Spoon the macaroni cheese into serving dishes and top with the reserved fried bacon and leek,​and scatter with breadcrumbs, extra cheese and parmesan. Place the dishes under a hot grill for the cheese to melt and the topping to become nice & crisp. About this post: This recipe was provided by Rachel’s. No Payment was received.